"Vintage" in the guitar world can have a broad definition, but guitars from as far back as the early 1900's can fall into this category. Guitarists and collectors realized during the era of mass production there was a certain timeless quality hand-crafted into pre-World War II acoustic and electric guitars, and the vintage guitar market was born. There are a number of places - both brick and mortar and online - that sell vintage instruments, and most offer both ways of shopping. Experience, reputation, price, and selection are the main criteria to consider when buying a vintage guitar. Matt Umanov Guitars in the heart of New York's Greenwich Village has been serving the vintage guitar community since 1965. The store's impeccable reputation precedes itself as hand-written cartoons and thank you notes from the likes of Gary Larsen and Shel Silverstein attest. They offer sales and repairs in the store and will ship vintage instruments right to your door. Norman's Rare Guitars in the Tarzana section of Los Angeles has been in business since 1975. In addition to their impressive vintage guitar selection, they offer repairs, lessons, and appraisals. The Chicago Music Exchange on the north side of the windy city has bought, sold, repaired, and appraised guitars for 25 years. Their extensive testimonial page speaks to their high level of customer satisfaction. Christie and Walter Carter of Carter Vintage Guitars in Nashville have a combined 50 years of experience in high-end vintage instruments. Walter's expertise can be further researched in any of his dozen books. Be sure to inspect or inquire about any serial numbers or manufacturer's markings on the guitar. Manufacturers often produce reproduction guitars that can be easily distinguished from the original guitar by the markings. Martin, Gibson and Taylor are the big names in acoustic guitars, and vintage models by these companies can sell for astronomical fees. A 1941 Martin D-45 is currently listed at $139,000! 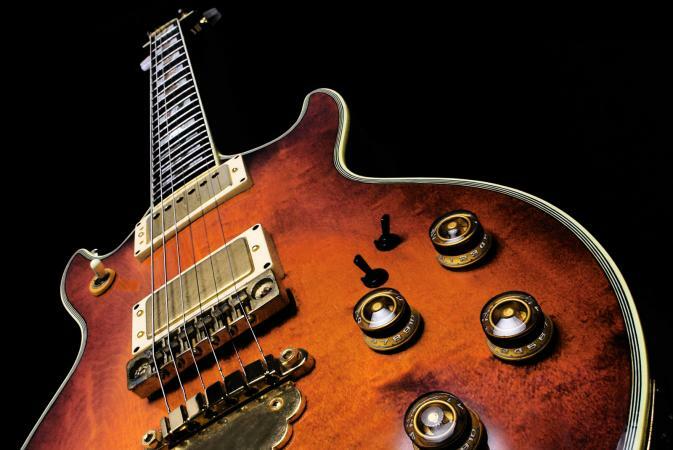 There are many electric guitars in the vintage category from big name brands to less widely produced custom instruments by master guitar makers. The Gibson and Fender companies led by guitar designers Les Paul and Leo Fender are legendary for the quality and sound of their electric instruments. Master luthiers like John D'Angelico or his protégé, Jimmy D'Aquisto, hand made guitars with the finest woods and cutting edge techniques and their guitars are valuable as they are aesthetically pleasing and produce an amazing sound. There are three types of guitars to consider when getting into the vintage collectors' market including electric, acoustic steel string, and acoustic nylon string. Manufacturers from large to small have made high quality guitars over the years, so knowing about an instrument's make is also important. Just as many customers are loyal to one make of car for a particular reason, many guitarists exclusively prefer one brand for performance and preference. 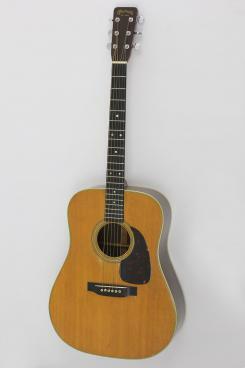 1950 Gibson J-45: This guitar has a big, natural and resonant acoustic sound. 1942 Martin O-15: This is a smaller guitar with terrific tone, as with all early Martins. 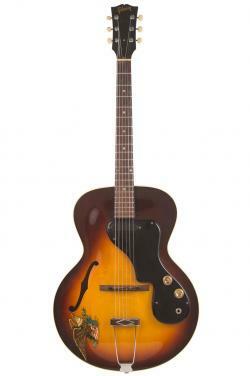 1962 Gretsch 6120: This guitar is a Chet Atkins custom model with a double cutaway and a Grigsby "whammy bar." 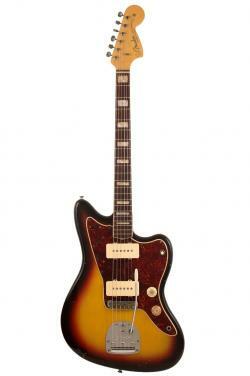 1966 Fender Jazzmaster: This is a unique-looking design by Fender, and it comes with a sunburst finish, two pickups, and a vibrato bar. To learn more about these guitars, the following guides are excellent books on the subject by experts in the field. When considering a major purchase or investment, researching the product is advised. Gruhn's Guide to Vintage Guitars by George Gruhn and Walter Carter teaches you how to identify and establish authenticity of vintage instruments. Confessions of a Vintage Guitar Dealer by Norman Harris is a memoir of one of the industry's best. The Blue Book of Electric Guitars and The Blue Book of Acoustic Guitars by Zachary R. Fjestad provide a reference to electric and acoustic guitars including features, major brands, costs, and more. As with anything that involves collectors and competition, price is a factor. Purchasing quality vintage instruments is a rather expensive hobby, but certain guitars can be a solid investment. The majority of these instruments are not only amazing guitars, but also a small piece of musical history.